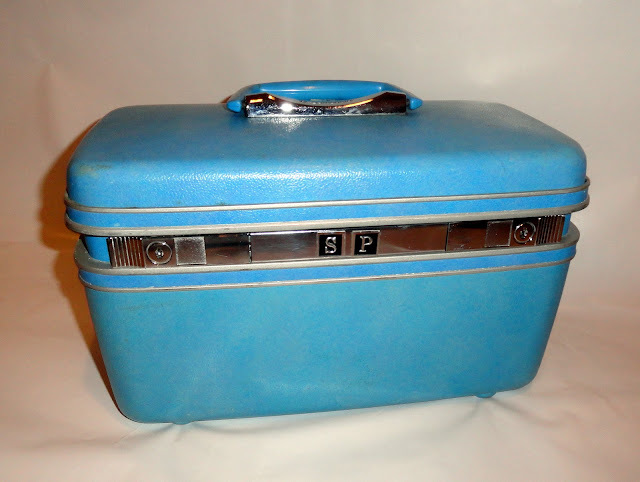 While on my junk shopping trip in Seattle with my friend Mandi, I picked up this blue Samsonite suitcase from the Goodwill outlet. Not sure what SP is, maybe salt and pepper? 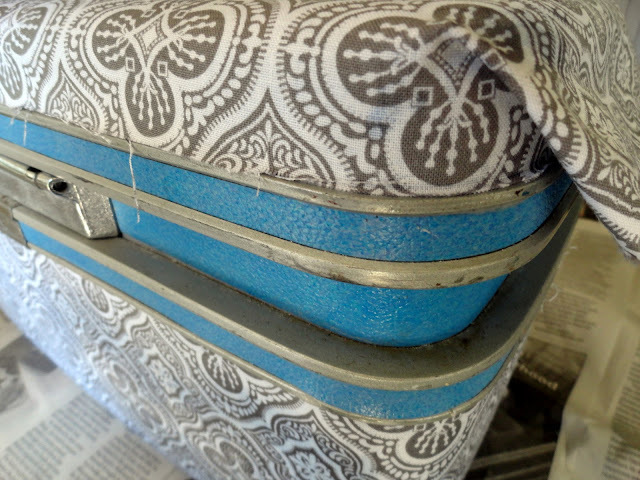 Regardless, it's a plain old vintage suitcase that was in good condition and has tons of life left in her. She just needs a good makeover. 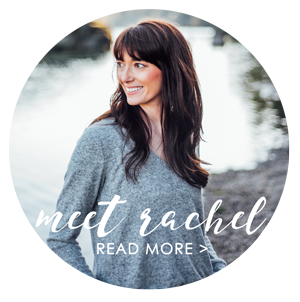 I literally had all of these supplies on hand in my craft closet. I'm a hoarder what can I say? 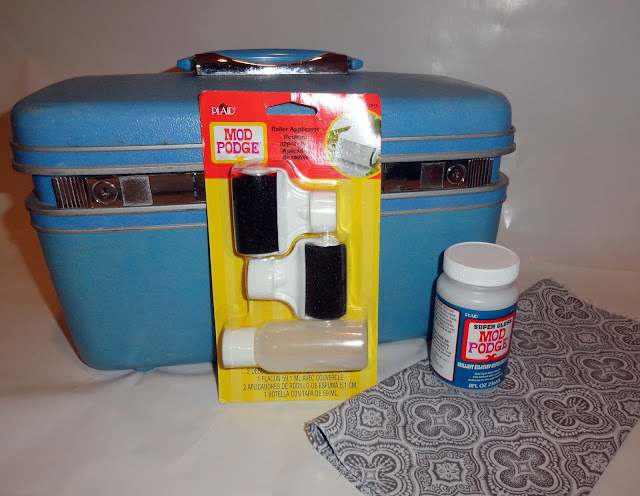 All you need to give your own suitcase a little update is some mod podge, fabric, and my new favorite tool the mod podge roller applicator. I'm all for basic supplies, but believe me, this roller applicator is beyond basic. That bad boy was invented for a reason. 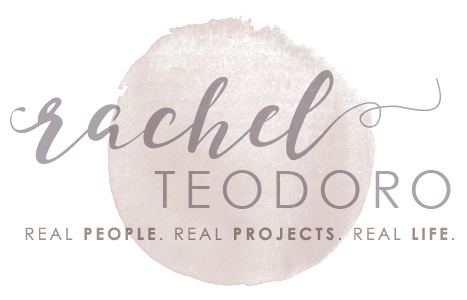 It makes big jobs with mod podge so much easier! You literally pour your mod podge into your container and screw the roller on top. I applied mod podge to the whole front of the suitcase in about three seconds. 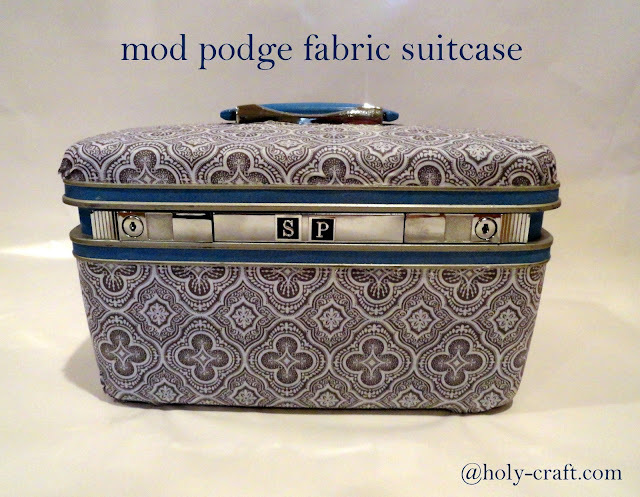 After I rolled on a layer of mod podge, I lined up my fabric with the suitcase edge and spread it into place. I folded the edges over the bottom and secured the fabric in place with more mod podge. I repeated the process with the top of the suitcase as well. I folded the corners and cut the excess fabric off. 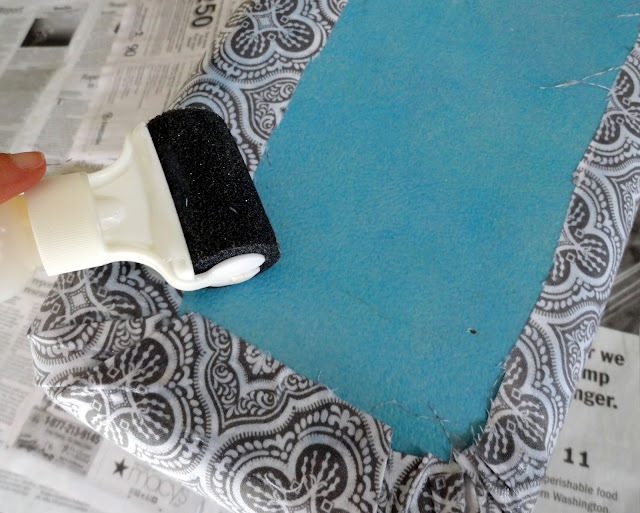 I took a smaller brush and secured the fabric edges down with a layer of mod podge. Trim off your extra strings and there you have it! 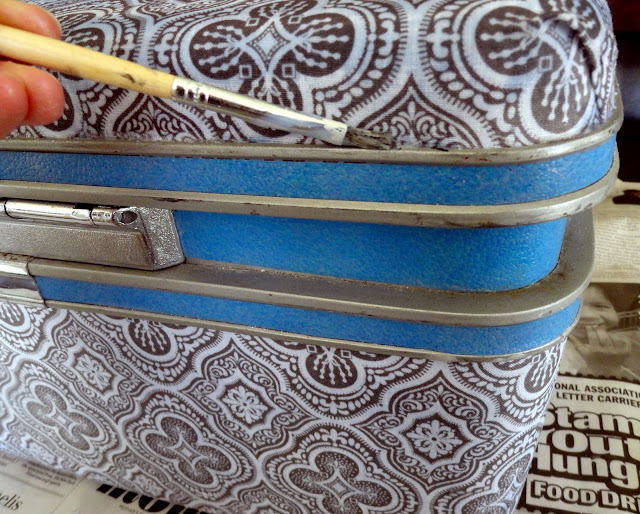 Isn't this the cutest upcycled vintage suitcase you ever did see?! Love the fabric you used on the train case! I had one of these in blue 45 years ago! 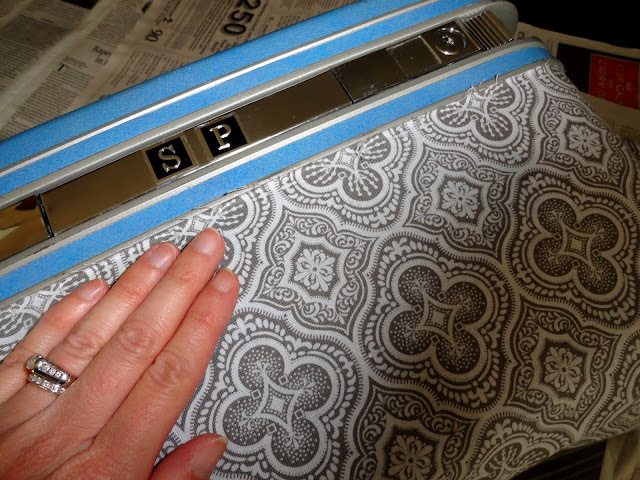 I just covered an old train case in scrapbook paper recently. I plan to use it for storage in my craft room. I need to get one of those rollers! very cute! 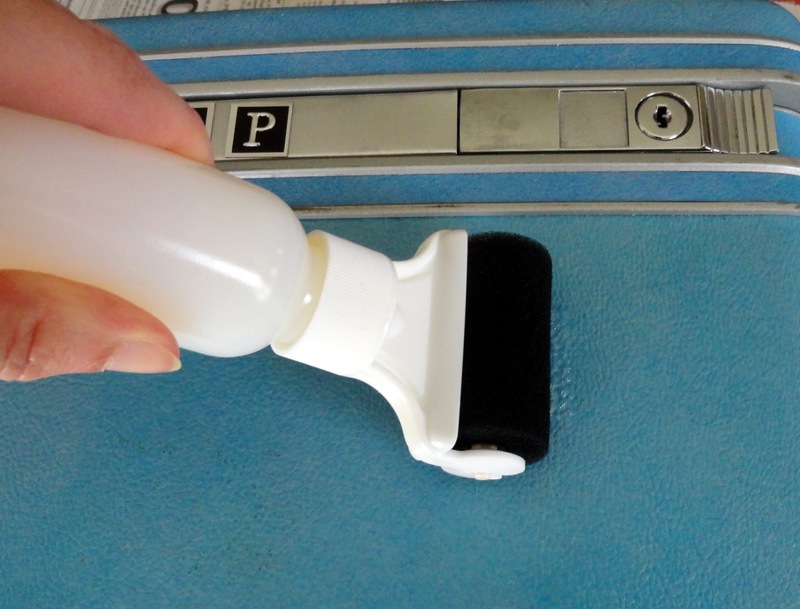 And thanks for the tip re: the mod podge roller--good to know! Fabulous way to upcycle old luggage! You did a great job! Gotta love Mod Podge.